The pairing marks the end of the KBS name. 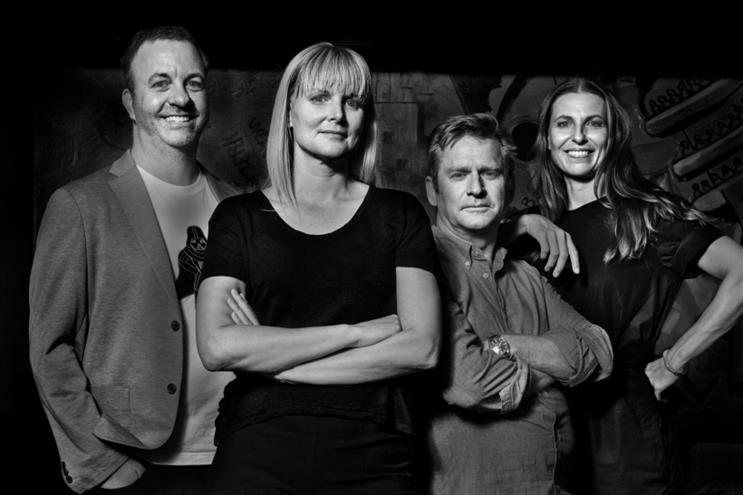 MDC Partners’ KBS and Swedish agency Forsman & Bodenfors have merged under the Forsman & Bodenfors name, creating a 700-person shop with eight offices around the world. KBS Global CEO Guy Hayward, who will hold the same post at the newly merged entity, told Campaign that getting rid of the KBS branding was "a difficult decision, but we felt it was right to unite under one name globally." He added that even though KBS is in more places worldwide, Forsman & Bodenfors has "such a strong name globally and its creative reputation is well-known." Anna Qvennerstedt, who was a copywriter and chairman of the board at Forsman & Bodenfors, will work alongside Hayward as global executive chairman. Qvennerstedt said that Hayward has experience running operations of global agencies in a way that no one at Forsman & Bodenfors has, "so it was a very obvious choice that he’d be the global CEO." Forsman & Bodenfors’ Silla Levin and KBS’ Mike Densmore will continue in their leadership roles over Sweden and New York, respectively. Forsman & Bodenfors made a splash in the U.S. market when it was acquired by MDC Partners in 2016 and formed a strategic partnership with CP&B. A year later, CP&B appointed Forsman & Bodenfors CEO Erik Sollenberg as its new chief executive, succeeding former leader Lori Senecal. Qvennerstedt told Campaign that Forsman & Bodenfors felt like its capabilities were too similar to CP&B, and "in order to do something like a merger, we needed to find a partner that complements us, like KBS does." The integrated shop combines Forsman & Bodenfors’ unique approach to creativity with KBS’ expertise in technology, data analytics and media through The Media Kitchen. Forsman & Bodenfors’ non-hierarchical internal structure will be adopted throughout the new agency, which means no global chief creative officer or other creative leadership titles. "The most important thing is that we give full responsibility to every client team to work like small enterprises within the company and run their own businesses," said Qvennerstedt. "Instead of the traditional model where you spend a lot of time seeking approval or giving approval, we try to keep the focus on solving problems for clients." She added that Forsman & Bodenfors is a "collective" and all creatives in the agency are expected to share their work and offer feedback and comments. The merged agency includes Forsman & Bodenfors’ offices in Gothenburg, Singapore and Stockholm, as well as KBS’ locations in New York, London, Toronto, Montréal and Shanghai. The combined roster has clients like Diageo, P&B, Hyatt, LG, Volvo and more. Merging with Forsman & Bodenfors could help refresh KBS, which saw a number of senior leader departures over the last year, including its president, chief technology officer and chief strategy officer. Last month, sibling MDC shop CP&B, which has similarly gone through recent executive changes, including the exit of its CCO in August, as well as the closure of its Miami office last winter, announced that advertising legend Alex Bogusky has returned to the agency after an eight-year hiatus. Many industry professionals believe that Bogusky could help CP&B return to its glory days. Last week, MDC Partners announced that Chairman and CEO Scott Kauffman is stepping down from his role. The news came after MDC reported an organic revenue decline of 1.7 percent for the second quarter of 2018, a year in which Kauffman said "continues to be challenging." He also said on the earnings call that potential sales of MDC assets are an "ongoing conversation around the table." Twinings names Terri & Sandy AOR as it looks to dominate U.S.